It’s another wet day but yesterday was nice and dry and we actually did some outdoor work! Amazing! While Munchkin was sleeping very soundly in his bed for a nap (which are exceedingly rare these days), J and I set to work out the back. He’s already done quite a bit – moving the shed about, making space for Jasper to sleep in the carport rather than out on the street and getting rid of rubbish. His plan was to rainproof the shed. Mine to convert my old allotment wheelbarrow into a small bed for some veggies. I drilled a few holes for drainage and dumped a pile of barely used soil into it, then we jammed it in place just under the bare tree – making sure the chooks won’t find a way of getting in it! I have my seeds ready to be sowed, very little this year compared to what we’ve grown in the past. All the seeds I’ve collected are in two tins, it was fun yesterday going through them and choosing what to grow. I sadly patted my purple sprouting broccoli and kale seeds. One day I’ll have somewhere to have lots of those lovely veggies growing! This year though I’m sticking to basil, rocket, cut-&-come again salad, radish, beetroot and a couple of cucumbers in the little greenhouse. We must have about ten fruit bushes in pots out there, so the plan is to make a nice flat area on top of the shed and put them up there, again out of the way of hens and in full sun. When they start fruiting I’ll net them to stop all the local garden birds from having them. 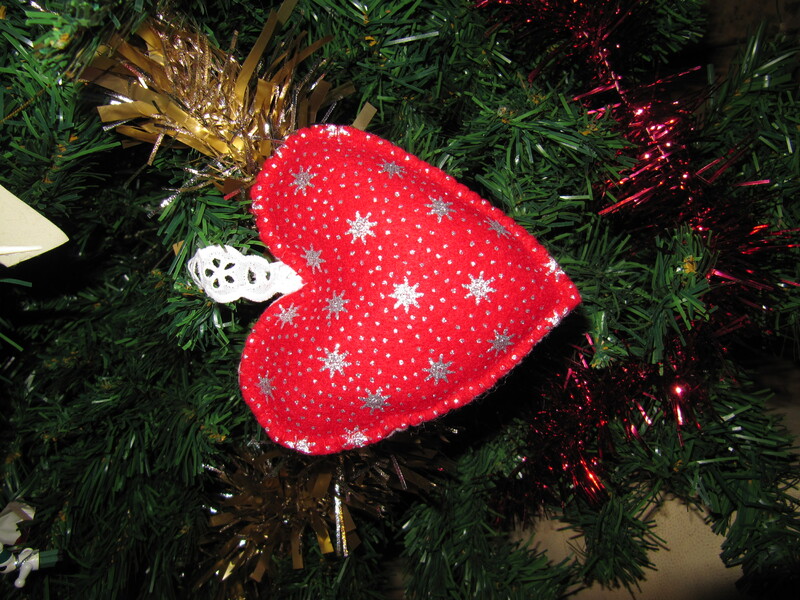 On the sewing front, I’ve made a fair bit but still need to make a lot more. I have five of the small coin purses prepared and waiting to be sewn up, two more of the bucket tote bags with the owl, a few more crochet coin purses, a messenger bag with another larger owl and pile of button-y goodness and I want to make some more make-up/toiletry bags. So what do you think? Should I even bother?!?! It has been a mad few weeks! Firstly, Munchkin is now happily in preschool twice a week for 2 hours a time. He’s enjoying it immensely, except for today when Bobby Bear came to read them a story. Munchkin and another little boy burst out crying! He’s ok now, has told me he played with trains and cars. Secondly, I’m jogging three times a week now. I’m doing the Couch-to-5k training programme and it’s going great so far. Still on my diet and doing well, I’ve lost 8 and a half pounds to date! Only 12 and a half to go! The programme finishes on the 25th of March – the day before my 30th birthday(!). At that point I should be able to jog the whole 5k without needing to stop. Knowing this gives me so much motivation, especially as I’ve told myself to hang on for my birthday before deviating from the diet! Had a lot of visitors to the house lately so I feel like I’m constantly cleaning and tidying. It’s very tiring! We’ve had Indi’s friends and cousin over and my Dad has been up this weekend. It’s great seeing everyone but I don’t think they know how much work goes into making this house presentable! With this many animals it’s non-stop! I have been crocheting of course. 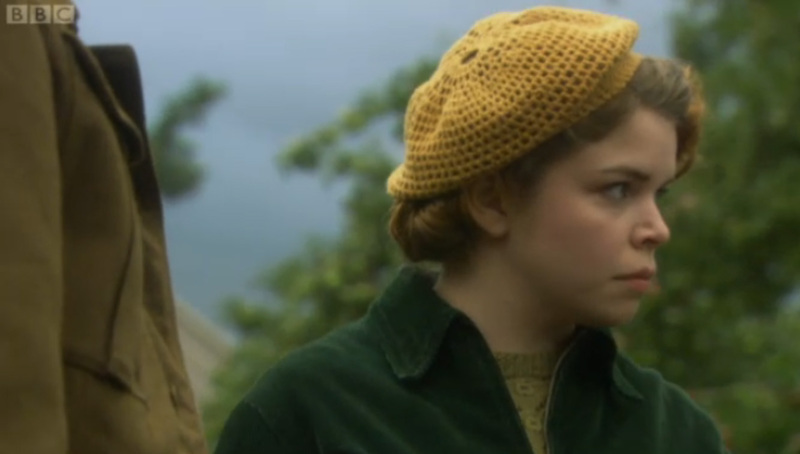 I tried to make a beret that I saw on Landgirls but my attempt went drastically wrong! So not exactly what I wanted, I’ll try again one day. In the meantime, I’ve still got the circles blanket, ripple scarf, shawl on the hook and I started a baby blanket last night. It’s girly so don’t know why I’m making it… perhaps I’ll be able to sell it?! On that subject, I need to find a way of earning enough dosh to at least cover Munchkin’s preschool fees. I’d like to let him go three times a week but it’s not cheap! I need to think of something I can sew that will sell well… I’m thinking bags for little girls… Simple to make, cheap to buy so parents are happy, and maybe some bags for grown ups… Basic messenger style bags, bucket bags etc but with some applique to make them a bit more special…? And then – where to sell them?! 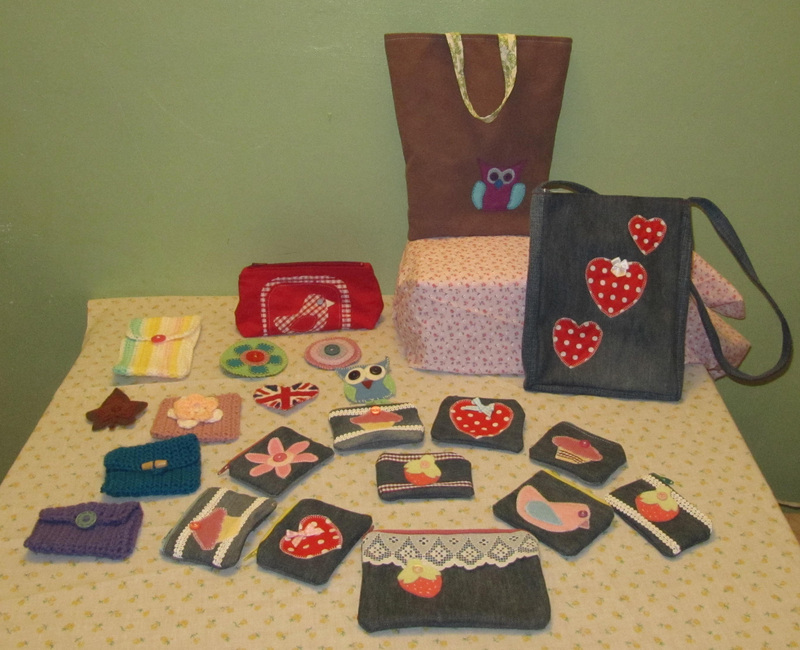 There’s a craft market in Abergavenny once a month but that won’t bring in enough… I shall have to have a look about. But first to make the bags! Have I actually got girly fabric…?! I got up early this morning, long before it was time to let the chickens out. I stood out by the back door, it was freezing though so not long! I was looking out into the dark garden when I heard something – a fox cry! It went on for a while and though it was quite far off I could follow the sound travelling down the hill. Needless to say I didn’t let the girls out until the sun was completely up and the fox had stopped crying! That just confirms that there are foxes nearby, and while I adore foxes and would love to see one in real life I really do not want to see one in my garden when my girls are in it! The main fabric is upholstery corduroy that I received from a Freecycler. 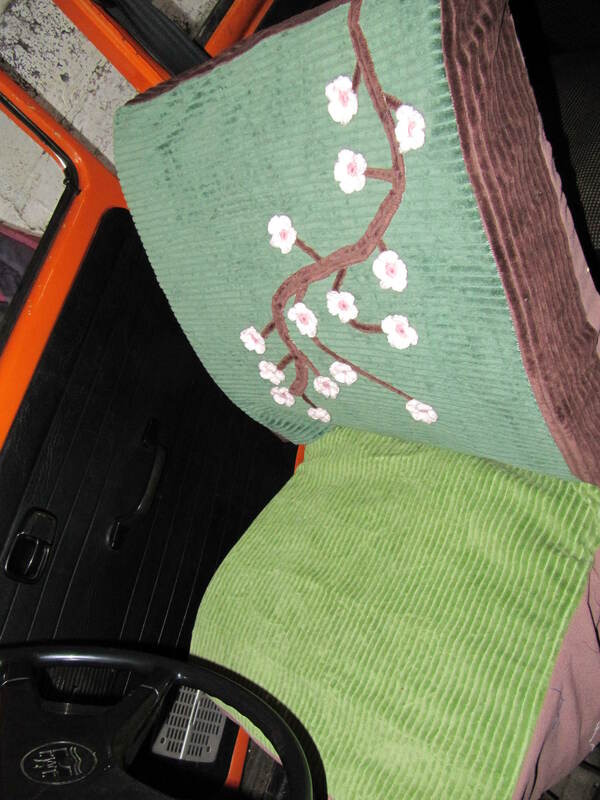 I used some of the brown cord for the tree branch applique then used this pattern (minus leaves) to crochet the blossoms. For the back and sides I used a faux suede fabric that was given to me by a friend. 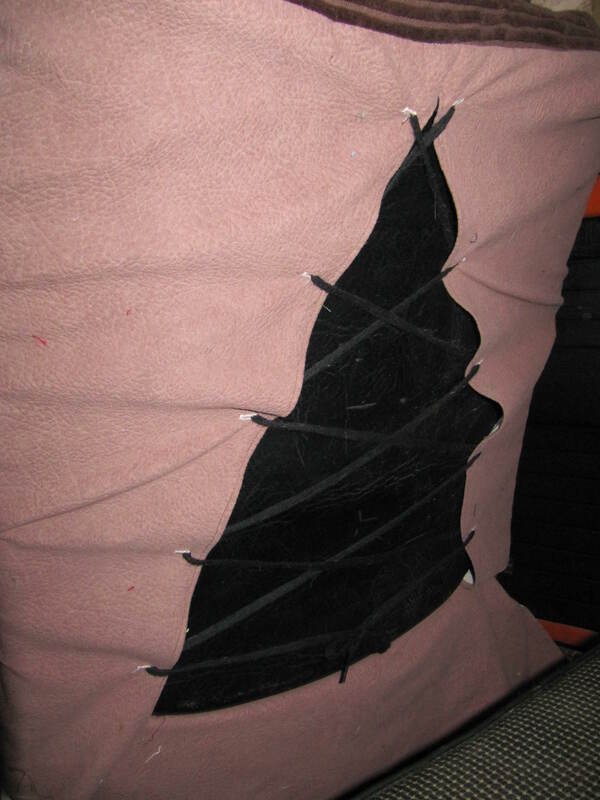 When I first made the top of the seat it didn’t quite fit so I cut and seamed a triangle out the back, sewed tiny buttonholes with my machine and used shoelaces for a ‘corset’ effect! I’m really chuffed with it!!! The crochet blossoms don’t dig in to my back as they’re tiny and fairly flat. There’s still quite a bit to be done cosmetically but just seeing that new seat cover makes me all the more eager to do the rest. I guess I’d better start with HAPPY NEW YEAR!!! Here’s to a great 2011, a healthy, happy, balanced year. Resolutions? I got a couple, they include the Buy Nothing New For (at least) A Year challenge, and to Balance my health. That word, balance, has been shouting out at me a few times over the past few days and all in the same context – balance your life, your health, your mind. It’s something I need to take control of in my life. I’ve been very lazy the past few months I feel and desperately need to get some zing back, a spring in my step, stop my bones and mind from atrophying. With a toddler it is very difficult to become truly lazy as there’s always plenty to do for and with them but it’s not enough. Build up the hall wall again – we put it up three years ago, pulled it down and now realised it should have stayed! Build raised veggie bed in garden – make safe from chooks! There’s so many things! And I’m sure I’ve forgotten some! Yesterday we went for a drive in Jasper. He’s pretty much fixed now, J can’t think of any other way to make him run better without having to replace the entire engine. We drove past a house where there were two Beetle’s and a camper park up. They were all done out beautifully, nice shiny spray jobs, shiny, shiny, shiny. Jasper was so embarrassed about his rust and frayed and falling off bits I’m sure he went from bright orange to bright red. So now one of my goals is to get him in such good shape that he’ll feel proud when he sees other type 1’s and won’t want to hide under a scrap pile. Ok, that’s enough for now – I’ve got a pile of different colour cords in front of me waiting to be made in to a funky car seat cover! Want a giggle? Here’s Loki, one our RSPCA rescued cats. He’s very fat, despite being fed exactly the same as all the others but he is one of the most loveable in the house. He’s a complete flirt, will put a paw on each of your shoulders and lick your nose until you remove him! He is also very placid, as you can see below. 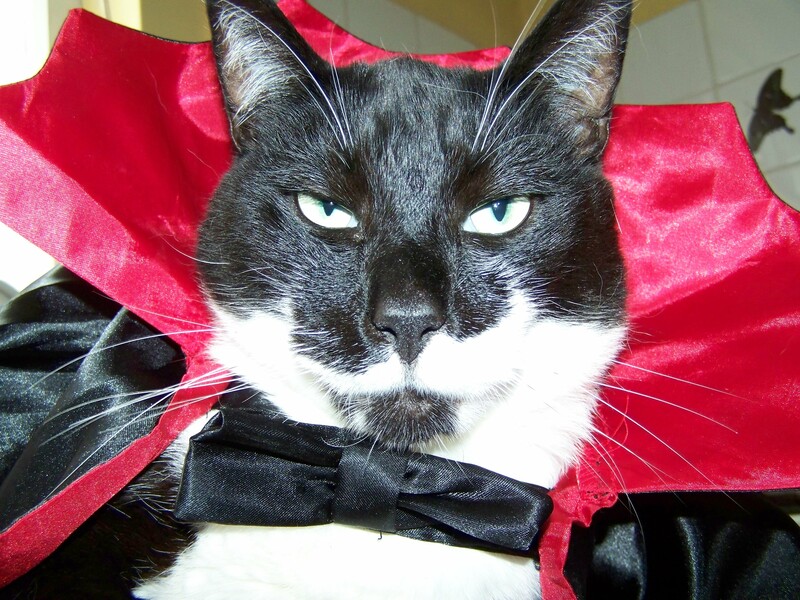 Now I’m not one for dressing animals up but if cats wore clothes then Loki would HAVE to wear a vampire cloak ALL THE TIME! Firstly, may I indulge in a little self-pity? I’m writing this from my sick bed, in fact, it is also J & Munchkin’s sick bed, which makes for a sticky, snoring, hot and shivery place for three people to while away the flu in. Munchkin has been sicky for a few days now and has developed an earache which I’m hoping Nerofen for littlies will help. Of course if he’s still complaining about it in a couple of days I shall whisk him off to the doc. I’ve had sniffles until today when it attacked! Yuck! Lots of sneezing and sore throatiness and chills and all the lovely things that come with this little virus. 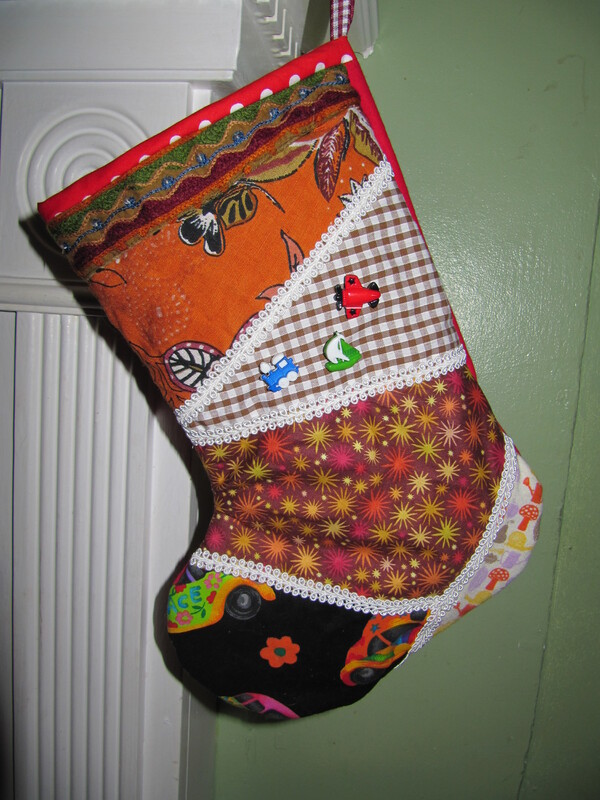 Thankfully I managed to make a stocking for Bachgen last night before I got really ill! Anyway, enough of the ‘woe is me’s’! On with the Makes! Made entirely from scraps I had lying around. I very much wanted to use the red polka and red gingham but that would have looked WAY too girly for my very boyish Munchkin so I had to make-do! I added a couple of buttons that my sister gave to me absolutely ages ago with the intention of them going on something especially for her favourite (only) newphew. 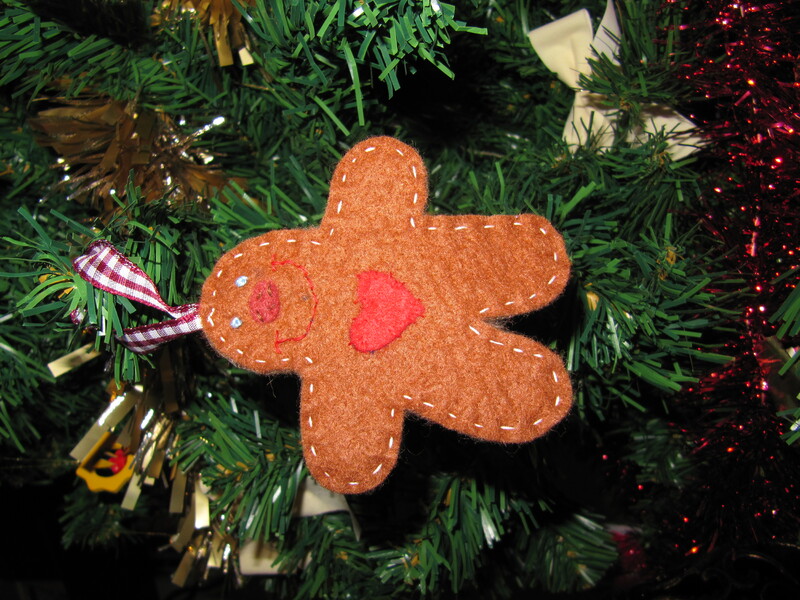 It’s thanks to a repeat of Kirstie’s Homemade Christmas that this came about – I had no idea what to do for him stocking wise and it goes without saying that it HAD to be handmade not shop bought. 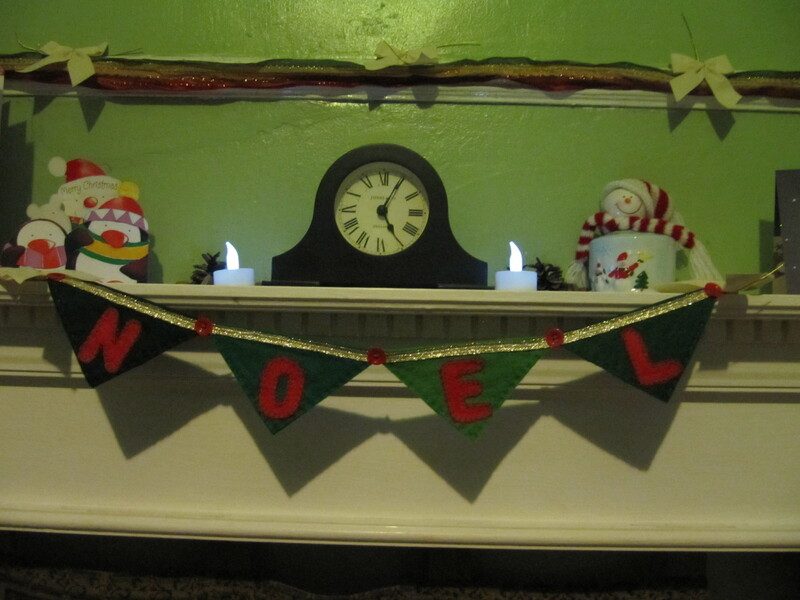 In addition to the ‘Noel’ bunting (please excuse the awful pic, flash did not want to go off) I made one in pastel-y colours with the word ‘Home’ which I may just hang up in the bedroom. I’ll show you it oneday, you know, when I’m not Mrs Snot Monster! That’s all for now, Folks. I’m going to rest my weary head!